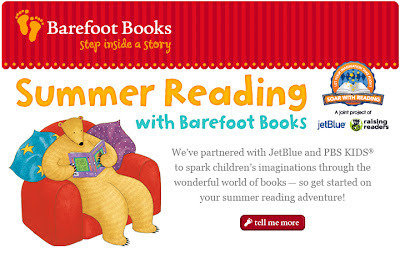 My friend Mary at Sprout's Bookshelf graciously agreed to host a Barefoot Books review and giveaway at her blog. I chose the book Shopping with Dad for her, knowing that her Sprout is exactly the right age for this book and that Mary - like me - has a particular interest in children's books with a lot of diversity. Mary posted her review over the weekend, and I am so thrilled that she and Sprout loved the book even more than I hoped they would! Mary knows her stuff when it comes to children's literature - she's working toward becoming a librarian, and I am always impressed with how thorough and thoughtful her reviews are - so I am doubly thrilled that she recommends Shopping with Dad to her readers. 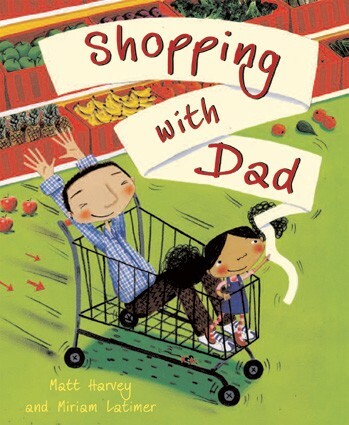 Go over and read the Sprout's Bookshelf review of Shopping with Dad for yourself, and enter the giveaway for a chance to win your own copy of this super fun book. The deadline to enter the giveaway is Sunday August 5th. Good luck! 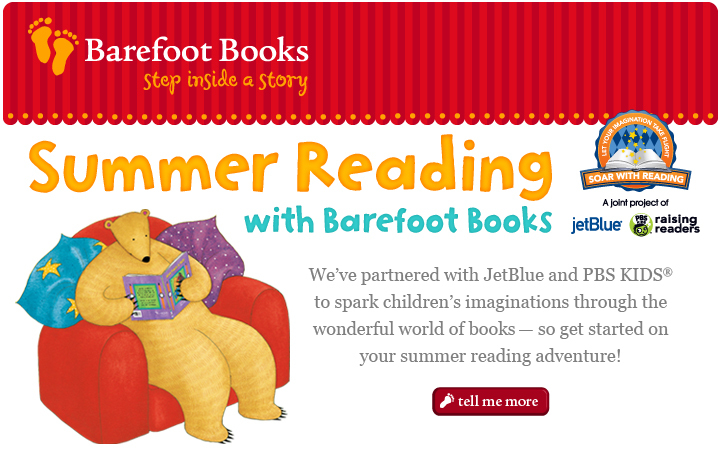 The annual Barefoot Books Summer Sale started on Friday and will run through August 13th, and this is the biggest and best Barefoot sale EVER! There's something for everyone in this sale - from early learning adventures to classic singalongs and storytime favorites, from global adventures to gorgeous gift books and chapter books for independent readers. There are books in Spanish, and even puppets and puzzles and activity books on sale! You can find something for every child in your life and be done with your holiday shopping before the summer is even over! I will post more about some of the individual books that are on sale - some of our very favorite books are deeply discounted for this sale - but for now I will tell you to go and check it out for yourself!